Female, age 26, in good health condition. 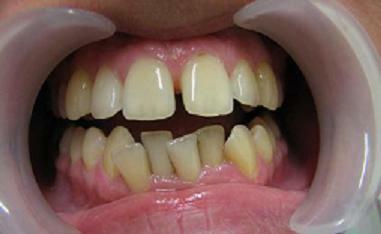 The patient complaint is of upper spacing due to failed orthodontic treatment, and crowding of lower incisors. 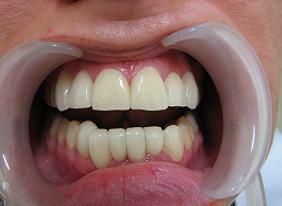 "Old looking smile". We agreed on bonding 12 Lumineers . 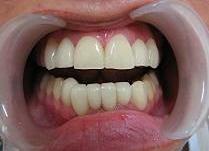 Lower incisors positioning had to be corrected so no tooth will overlap its adjacent. 3 weeks later, the Lumineers were bonded.